If you watch the national weather forecast, the prediction of snow is usually followed by dire warnings of horrible roads, power outages, and potential snow days. Not such a pretty picture. But here in Vermont, we love to hear snow is in the forecast. To us it means more snow on the mountains for skiing and boarding, natural snow for snowmobiling and snowshoeing, plenty of snow for cross country skiing, and perfect conditions for fun like fat biking and tubing. If you aren’t really into all that physical activity, you can still enjoy Vermont snow by sitting beside a fire at a country inn and enjoying the serenity of the snow-covered landscape outside the windows. 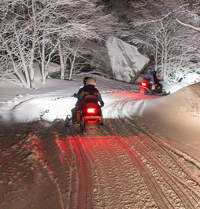 It is also worth noting that Vermont has had many years’ experience dealing with snow, so the roads will be cleared quickly, the sidewalks shoveled, and you will be able to get around easily. That being said, snow is in the forecast this week! In addition to snow-making, Stratton is expecting up to a foot of new snow. Smugglers’ Notch reports much the same. Weekend conditions look to be cold and clear. So, why wait? Plan your trip to Vermont now. Let Vermont.com help you decide where to stay. 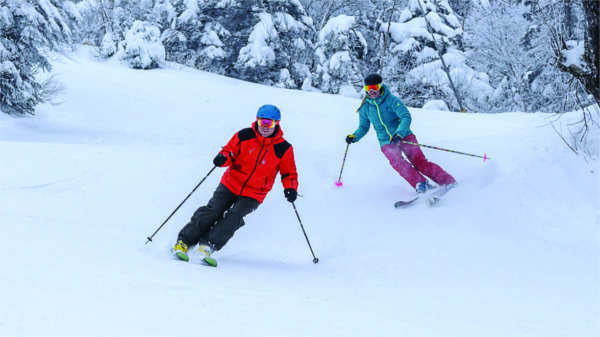 Consult our Top Deals for specials or check out our listing of Winter Resorts. 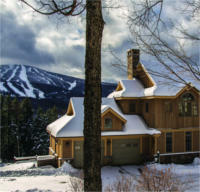 Not looking for a ski resort? Vermont.com can also suggest everything from country inns to large hotels. And, don’t forget to check out the Winter Fun and Restaurant listings as well as the Calendar of Events. 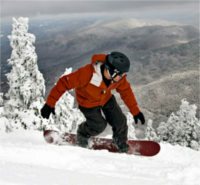 No matter what your interests, you will find something to thrill you this winter in Vermont.